Happy Friday! 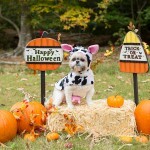 I love Halloween, but when it comes to my dogs, I know that complicated costumes would be overwhelming to them. So if I dress them up at all, it will probably just be a fun collar. They don’t wear hats, but I wish they did. 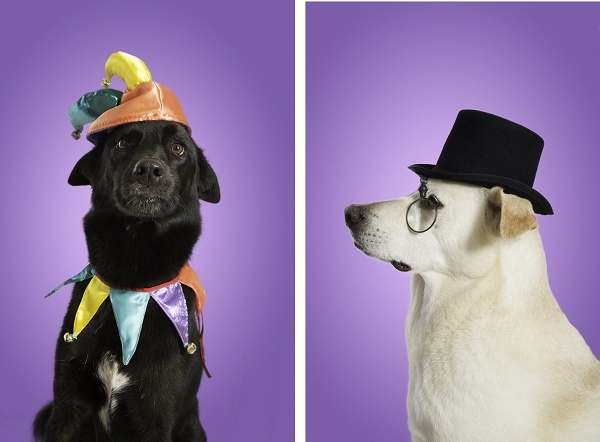 I love these dogs in hats from Dynamite Studio, Inc.
About Dynamite Studio, Inc.: Based in Altamonte Springs, Florida, Kellie Warren and Lindsay Widdell work to create, document and produce unique imagery that tells a great story. 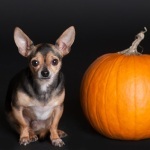 If your dog is okay with more complicated costumes, check out these 26 Halloween costumes on Dog Milk. 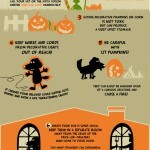 Check out our Howl-O-Ween board on Pinterest! Me and my dogs have an agreement: I don’t make them wear outfits and they don’t make me roll in deer poop. That made me laugh! Seems like a very good agreement! Mr. N will agree to wear hats for very short periods for pictures. The rest of the time, he declines. Dex gets to spend 95 percent of his life being the king of everything and we have a deal: He wears clothes for me sometimes. He has his own closet. He does like it and if he didn’t I would not do it. Every pet is different. 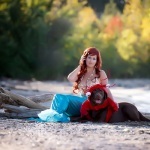 I think that every person needs to figure out what their pet is comfortable wearing. When people get upset about dogs wearing things that are safe, I compare it to high heels. Personally, I am not comfortable in high heels, but I think it is great if other people want to wear them. I know you would NEVER inflict any kind of stress on Dexter. Nelly wears a little fleece in the winter and I know that she likes it. I agree with you Robin! Delightful photos! I love dogs in hats too, but my Husky has upright ears which make it difficult for hats to stay on her head. My little dog however, could wear hats, small ones. Upright ears would make it more difficult for hats.